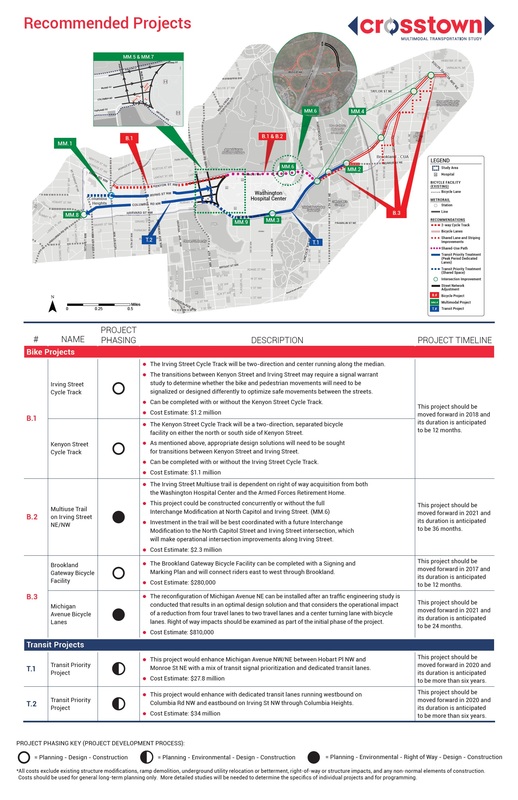 Snapshot of DDOT’s Crosstown Multimodal Study Recommendations | Park View, D.C.
Last week I posted the highlights of the final Crosstown Multimodal Study Meeting, including some of the projects DDOT will be recommending as part of that process. The full materials from the meeting have finally been posted online and are available for deeper review. 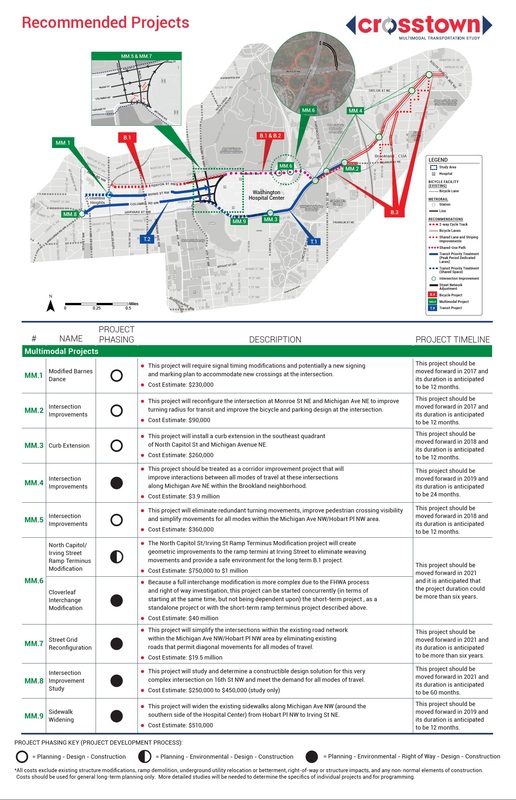 However, I definitely wanted to highlight the Handout of the Recommended Projects, which indicates the broad range of projects, which mode they relate to, and how long it could take for implementation due to complexity. I’m also including them below for ease of access. This entry was posted on September 21, 2016 at 7:01 am and is filed under DDOT, traffic. You can subscribe via RSS 2.0 feed to this post's comments. Kent, do you by chance know if DDOT makes these recommendations considering cost? Do some of the more expensive ones even have a shot? Per this snapshot, the bike lane on Irving along the Washington Hospital Center is at least ELEVEN years away.